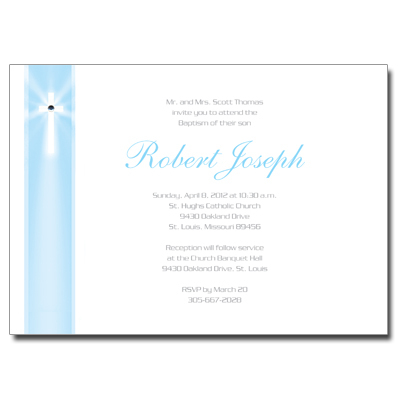 This jewel-enhanced Baptism or Christening invitation has a touch of traditional charm, with fresh and modern style your guests are sure to love. Assembly is required. Card measures 5x7.